February 13, 2018 by Shaunette Stokes, Esq. If I could shout from atop the highest mountain, the greatest way for entrepreneurs to protect their brand would be to protect their name or logo under trademark law. A name or logo is a source identifier that consumers associate with your brand. By obtaining trademark protection, you are securing the right to use your name through commerce. Although trademarks are not a requirement by law, it is very necessary. Here’s why: If you fail to protect your mark under trademark law, you are exposing your brand to potential infringers. Someone may take your name and register it for their own brand. Under this scenario, you may challenge that person’s registration but this will cost you more in legal fees. I am here to help you save some coins. Trust me, if you protect your brand at the onset, you are preventing the likelihood of infringement by third parties. Not sure where to begin? Always consult an attorney. The second way to protect your brand is by copyright protection. One of my passions is teaching creative entrepreneurs how to protect their works. I often tell clients that it is necessary to create a quarterly, if not monthly, schedule to submit their works to the copyright office. The U.S. Copyright Office does allow for multiple submissions. This means that if you pay for one application, you can submit multiple entries under that one application. As a creative your content should be protected. Some copyrightable items include, but are not limited to: business plans, curriculum, paintings, books, songs, and software. Do you have a recipe for something you created or customer lists that have helped your business grow? This can be protected under contract law. If by any chance the secrets of your company is leaked, courts will first ask about the measures you took to protect your intellectual assets. If you did the bare minimum of protecting the information shared with your staff or others, then the courts would likely see that you did not take the proper measures to ensure that your intellectual property remained a secret. For instance, if you have a recipe for your favorite product, you should make sure that anyone that has access to that recipe signs a non-disclosure and non-compete agreement. This prevents them from disclosing any secrets they acquired about your company during their employment or business relationship with you. Lastly, I have found that budding entrepreneurs often like to pitch their ideas to potential investors and potential partners. It is often that they go into these pitch meetings empty handed. Ideally, prior to agreeing to meet with a potential investor, you should have them sign a non-disclosure agreement. This prevents them from disclosing what was said during the meeting. If you wish to take it a step further, you can also add a non-compete clause. This will prevent them from listening to your idea and executing the same exact idea in the same market. Presenting these types of contracts to potential investors or potential partners may pose as a challenge because not many people take too kindly to bound by contract for something they have not financially invested in. However, it is worth using this tactic in negotiations. Always remember, never delay in getting your vision protected, it is all about being proactive. If you want more information on how to take one of the courses available through my firm on how to protect your vision, please email Info@stokeslegalcounsel.com. Written by Shaunette Stokes, Esq. Shaunette has substantial experience in contract law, business transactions, intellectual property law and civil litigation. Currently, she works with a diverse group of clients, assisting them in understanding and navigating the law so that they can effectively manage their respective businesses. Attorney Stokes has also assisted individuals in Family and Civil law. WTF is an Office Action? 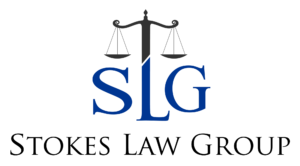 We will be sending you free legal advice in our weekly blog posts! Our firm only accepts appointment only meetings. Founded by Shaunette Stokes, Esq in 2014, today her Tampa-based law firm is currently engaged in matters dealing with business law, family law, business litigation and debt collection matters.